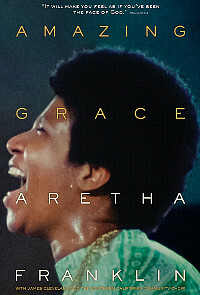 With its release delayed for nearly half a century, this concert film captures Aretha Franklin as she returns to her roots to record a double album of gospel music for a live audience. Due to technical issues, director Sydney Pollack was unable to finish the film before his death in 2008, so former music executive Alan Elliott took over. The completed film is pure and unforgettable. At the peak of her fame in January 1972, the 29-year-old Franklin recorded an album of hymns and gospel songs, backed by James Cleveland's Southern California Community Choir. Over two evenings at the New Temple Missionary Baptist Church in Watts, her epic performance was documented by five cameras, shooting more than 20 hours of footage. The bestselling album is considered one of the greatest recordings of all time; the film was shelved due to a severe audio-sync error and subsequent legal issues. Digital technology solved the first problem, while Franklin's family solved the second. The concert is intercut seamlessly with rehearsal clips in which Franklin interacts with the musicians, and there are background glimpses of the young Pollack directing his crew. But there's no other context, as the focus is on Franklin's passionate performance from the pulpit. It might have been nice to have insight into how Franklin was coping with fame or how she felt about returning to her roots. And yet her her face radiates joy, and she's so lost in the music that she never speaks to the congregation. The camerawork is terrific, capturing vivid, sweat-beaded closeups while placing the music within this setting, complete with lighting rigs, microphones and a mesh of cables, and an audience that can't sit still. While the audio is crystal clear, the imagery has a refreshing 16mm grain. On the title track, Franklin's voice is so piercingly powerful that the choir behind her loses their cool. As they sway, shout and uncontrollably leap to their feet, Cleveland is reduced to sobbing tears. It's simply spine-tingling. On the second night, her preacher father CL turns up with her mentor Ward to deliver a mini-sermon introduction, then stays around to mop his daughter's brow. Oddly, there isn't a credited director on the film. Elliott completed the project, and Jeff Buchanan provided the liquid, knowing editing. But it's Pollack's approach to composition and camerawork that captures Franklin so expertly. The result is part worship service and part recording session, a transcendent celebration of gospel music from the queen herself. 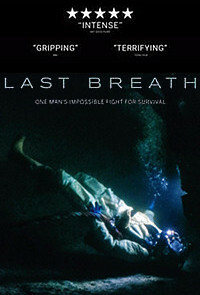 A documentary that plays out like a harrowing underwater survival thriller, this film combines real footage with sharply well-shot re-enacted sequences. The result is both a riveting drama and a glimpse into a profession probably few have ever thought about before: deep-sea oil-well repair divers. It may feel a bit too brisk, but the tricky editing tells the story with a maximum kick. In the North Sea off the coast of Scotland in September 2012, the dive support ship Topaz heads out to repair an underwater oil platform. Three divers are put into tanks to prepare for the undersea pressure: lead Dave, second Chris and bellman Duncan. But as they are beginning their work, Topaz's control system malfunctions, causing the ship to drift dangerously. Chris' umbilical is snapped, leaving him unattached on the seabed with only five minutes of breathable air. But it takes Dave, Duncan and the ship's crew more than a half hour to find him. This is recounted with to-camera interviews, home video footage, the ship's camera archive and beautifully shot new footage that recreates the scenes in between. The interviews are fascinating, from Dave's startlingly matter-of-fact reactions to Duncan's much more personal ones, since he was so close to Chris and his fiancee Morag. The story unfolds chronologically as a race against time, with a fascinating look at the equipment on the ship and the methods these divers use every day. Directors Parkinson and da Costa create a driving narrative with a big mystery in the centre: what has happened to Chris? The filmmakers deliberately hold this back until later, when they fill in the details in a way that's powerfully emotional but never manipulative. Each person who recounts an angle to the story includes his or her intense feelings every step of the way, which gives the audience plenty to grab hold of as the tension rises. The film has a remarkable sense of perspective, showing these men through their own eyes as they head off for 28 days living in tiny quarters that are like an underwater space station. They clearly get a thrill from their work, and their intrepid attitude is infectious. But there's also a sense that they are carefully wording their interviews to avoid giving away the ending (even if it seems obvious). So when the final details of the event fall into place, it feels almost anticlimactic. Still, it's an amazing story skilfully told. And it does get our minds spinning.